The petition against the Administration’s nullification of immigration laws (that includes the mass 2-year amnesties that began being handed out Wednesday) is toughly worded. But ICE union officials have now come out with even stronger words against their federal bosses who won’t allow them to do their job of enforcing laws that Congress passes. 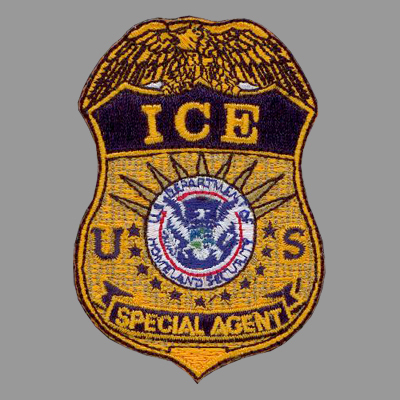 “ICE agents are now under orders to ignore the law as well as threats to public safety and fraud,” the union leaders say in a new press release about their members who work for the Immigration and Customs Enforcement (ICE) section of the U.S. Department of Homeland Security. While ICE agents have been ordered to stand aside, we have witnessed this week a steady stream of images of tens of thousands of illegal aliens lined up in public to sign up for work permits to compete in the legal job market against the millions of unemployed young Americans. Estimates are that 1.7 million illegal aliens could get the reward of these work permits even though Congress has three times voted down bills to give out these work permits. The ICE agents feel the only way they may be able to survive as a legitimate enforcement entity to protect all of us from another mass wave of illegal immigration is to show the Administration that the public stands with the agents — and against the anti-security policies of the Department of Homeland Security. That’s why it is so urgent that you sign the petition now and circulate it far and wide. The agents are extremely pleased to have the 30,000 signatures since Wednesday, but they need hundreds of thousands of signatures (at least) if they are going to have any real protection in their challenge against the Administration. 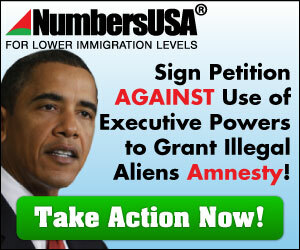 Let’s do all we can to help our nation’s immigration enforcement officers. Sign the ICE Union petition NOW. The petition to ICE Director John Morton urges the agency head to reward agents who enforce immigration laws — not punish them! This entry was posted in ICE in portland oregon, obama, Uncategorized and tagged border invasion, border with Mexico, breaking news, call ICE, cost of the invasion of the US, crime pays for mexicans, deport pedro reynaud erazo, deport ron wyden, deport the illegal aliens, hispanic crime surge, ICE IN there arrest and deport every single illegal, illegal aliens latinos, Immigration and Customs Enforcement (ICE) section of the U.S. Department of Homeland Security., Majority of Americans Oppose Birthright citizenship: Birth Tourism: Anchor Babies, numbersusa, obama 2012, obama backdoor amnesty, Oregon is a sanctuary state for criminals, SIgn ICE Agent Petition to Stop Obama's Shutting down Of ICE Immigration and enforcement of our Borders, stop the invasion of oregon, undocumented immigrants in oregon, Undocumented Migrants hookers sluts, Will Brad Witt be the Traitor David Wu is on Immigration ?. Bookmark the permalink. Those ‘un’documented shirts, is that the new prison uniform?